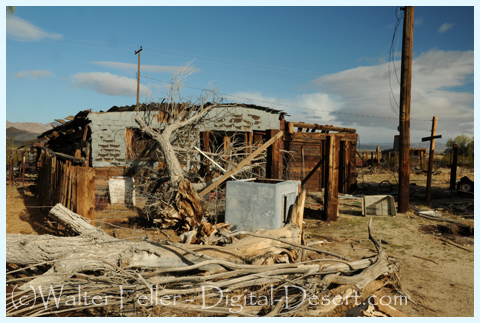 Kelso is a ghost town and defunct railroad depot in the Mojave National Preserve in San Bernardino County, California, USA. It was named after a railroad worker who won a contest to have the town named after him. The town was built specifically as a railroad station because of its location and nearby springs that provided abundant water. Starting off as what was a simple train depot in the 1920s, the town of Kelso boomed briefly to as many as 2000 residents in the 1940s, when borax and iron mines opened nearby. Gold and silver were also discovered in the nearby hills of what became known as the Kelso district. The town shrank again when the mines closed after about a decade. Kelso was a base of operations for the Los Angeles and Salt Lake Railroad (now part of the Union Pacific). Here, trains were watered and "helper" locomotives were attached to assist the regular trains in climbing the steep Cima Hill. The distance between Las Vegas and the connection with the Santa Fe line at Daggett was too far for trains without a meal car, so Kelso was a convenient spot for a restaurant stop. The depot building itself was built in 1923 using a Spanish "California mission" building style. It contained boarding rooms for railroad employees and a restaurant for both employees and passengers. It also had a telegraph office and waiting room. Later, a restaurant nicknamed the "Beanery," that served home-style meals was housed in the building. The large rooms in the basement also served as a community center for local residents. The depot remained in operation until 1986. 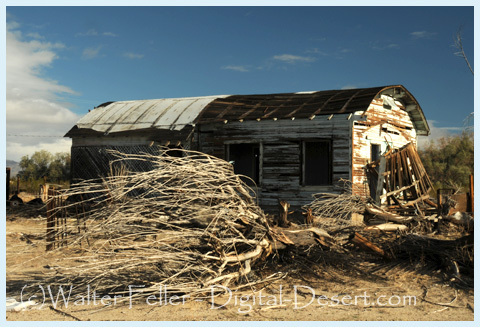 Left to the harsh conditions in the desert, the building began to deteriorate. By the mid-1990s the railroad was on the verge of demolishing the depot. Preservationists then stepped in to save it. It was recently renovated to become the Mojave National Preserve's visitor center. Renovation was completed in 2005 and is now open to the public. During the 1970s Kelso was known as the town without television. About 75 residents lived in Kelso, many with school age children. Television signals could not reach the town which meant that residents found other methods of recreation. Children played outside until dark. Adults sat outside and talked together. However, with the advent of satellite dishes, television was eventually introduced to Kelso. The ZIP Code is 92309 and the community is inside area code 760. The Kelso Mountains are located north of Kelso, the Kelso Dunes lie to the southwest, and the entire area lies within the boundary of the Mojave National Preserve.